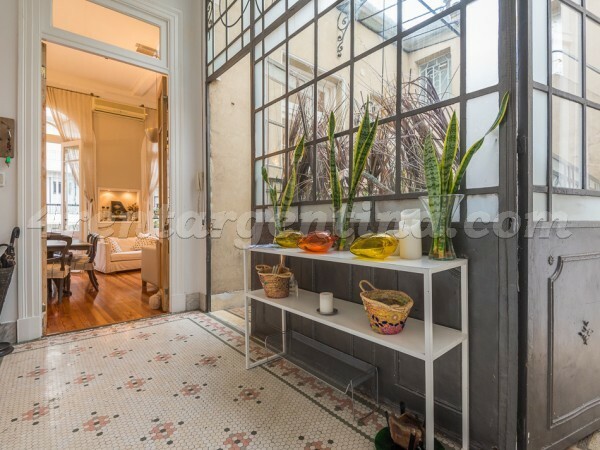 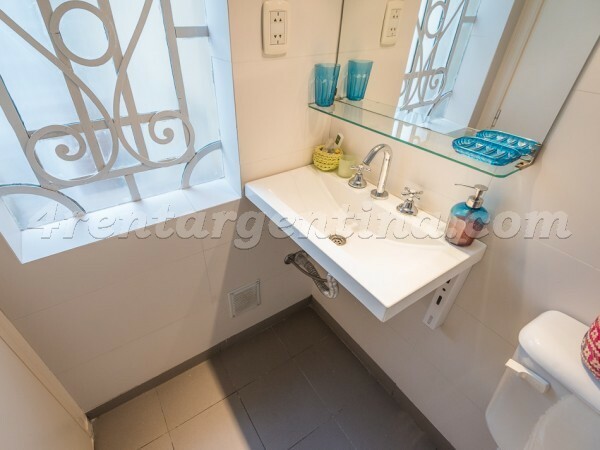 Excellent furnished apartment in a beautiful centenary bulding, located in recoleta a few meter away from Plaza Barrientos, one block away from Pueyrredon Av, and very closet o Santa Fe Av. 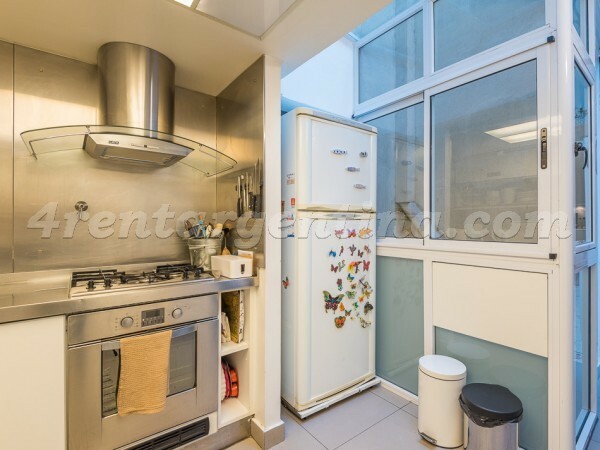 In an area surrounded by several means of transportation and shops. 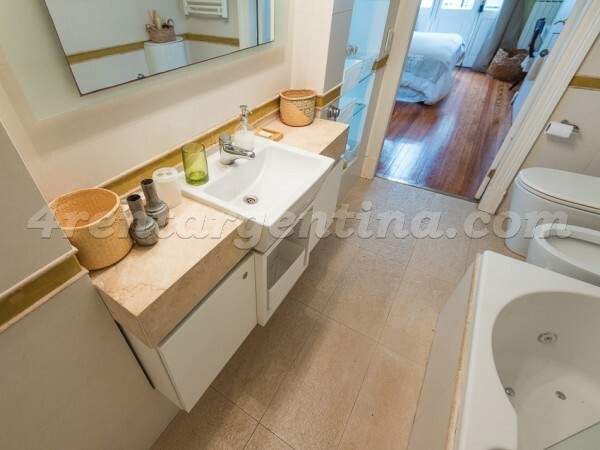 This beautiful and classy apartment is ideal for seven people and has everything you may need for an excellent stay in Buenos Aires: a living dining room with a TV, a sofa, a table and chairs, four bedrooms- the first one with a double bed, TV and a full en-suite bathroom with tub, the second bedroom with a double bed and en suite bathroom with shower and a mezzanine, where you can find a tiny living room with a TV and a third bedroom with a single bed and en-suite bathroom with shower and the fourth bedroom with a double bed, a complete kitchen, balcony and a laundry.